The UFC put on a second consecutive barnburner of an event in as many weeks with last night’s (Sat., August 4, 2018) highly entertaining UFC 227 from the Staples Center in Los Angeles, California. Just like last week’s UFC on FOX 30 from Calgary, Alberta, UFC 227’s top two bouts delivered some huge drama in the co-main event and a huge TKO in the headliner. 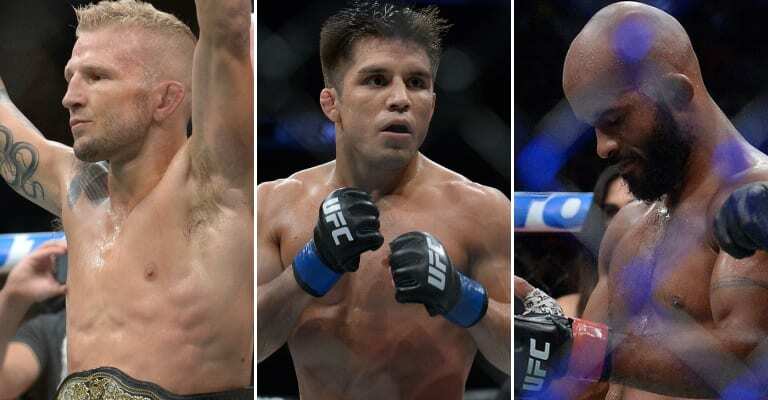 The main storyline of UFC 227 was, of course, the shocking ending of longtime UFC flyweight champion Demetrious Johnson’s historic run when he lost a close decision to Henry Cejudo, a result that is still being debated over now. Not to be outdone, bantamweight champion TJ Dillashaw scored a second straight TKO over Team Alpha Male rival Cody Garbrandt, ranking him up amongst the best bantamweight fighters of all-time. 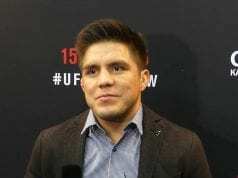 After Cejudo outlasted “Mighty Mouse” via close split decision, he took advantage of the moment and called out the winner of the Dillashaw vs. Garbrandt main event to come, citing that he would do what Johnson never wanted to and move up in weight for a champ vs. champ super fight. And it’s not like Cejudo dominated Johnson and stopped the fight – he won a split decision that many feel should have gone to the former champion. Johnson has some serious injuries to heal up from that may postpone the fight, yet Dillashaw didn’t seem to think that Cejudo was really deserving of a 135-pound title shot. He’s right. 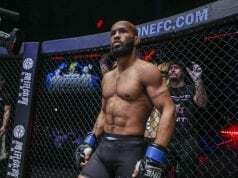 Cejudo should rematch “Mighty Mouse” when the all-time great former champ is ready to return.